You wouldn’t learn to drive with an instructor who can’t drive, so why go to a trainer that doesn’t train to the best of their ability? 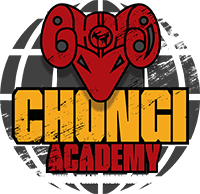 At the Chongi Academy, you have access to the best in the business – highly qualified instructors who are at world-class level, competition winners and trainers who know your body better than you do. They understand how to get the best out of you, how to push your body to its limits without putting it under dangerous strain. They work with you as an individual, as a person – a friend, welcoming you into a real community of people who truly want you to change for a better, healthier lifestyle. And they make it fun, rewarding and all about you. We recognize you are different. We recognize that everyone is. Which is why we are, too.